I don’t know why I haven’t thought of using a shirt to create a dress bodice before. It’s so easy! You can basically pick any knit top you have, crop it into a bodice, then attach a skirt, and BOOM! You have a new dress. 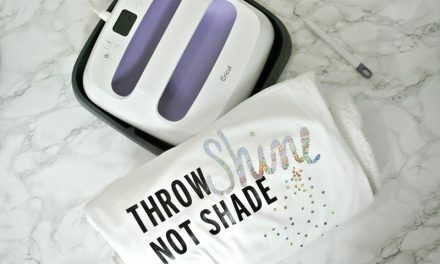 I recommend doing this with black or white knit tops since the fabric will be easy to match. I got this top at Tag’s Thrift and immediately thought of making it into a dress. Here’s how the process went. 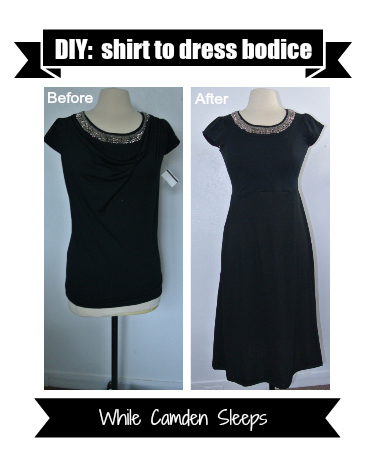 First, use a shirt to create a dress bodice by cropping it with scissors. Then, to create the skirt, I measured the width of the bodice so I could make sure to cut the waist wide enough. I used another dress to help create the pattern. If your knit is stretchier in one direction, make sure that’s the direction going across the waist. 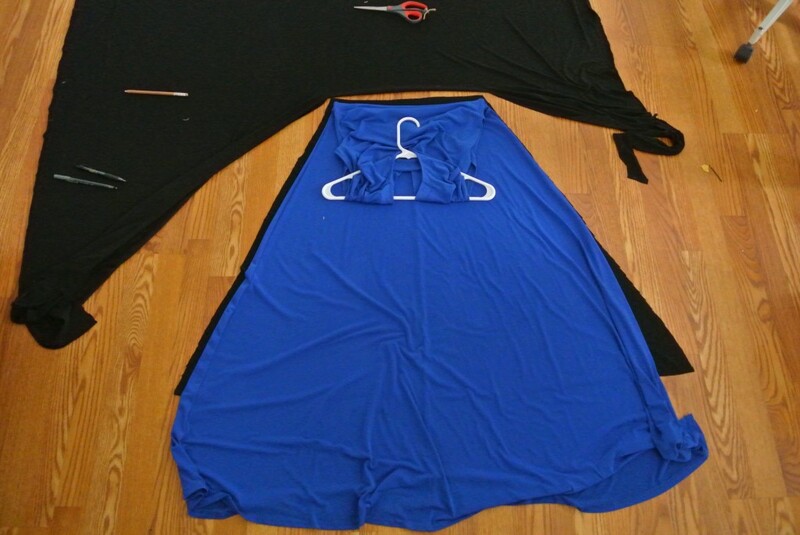 I only sewed one side seam of the new skirt before attaching it to the bodice. 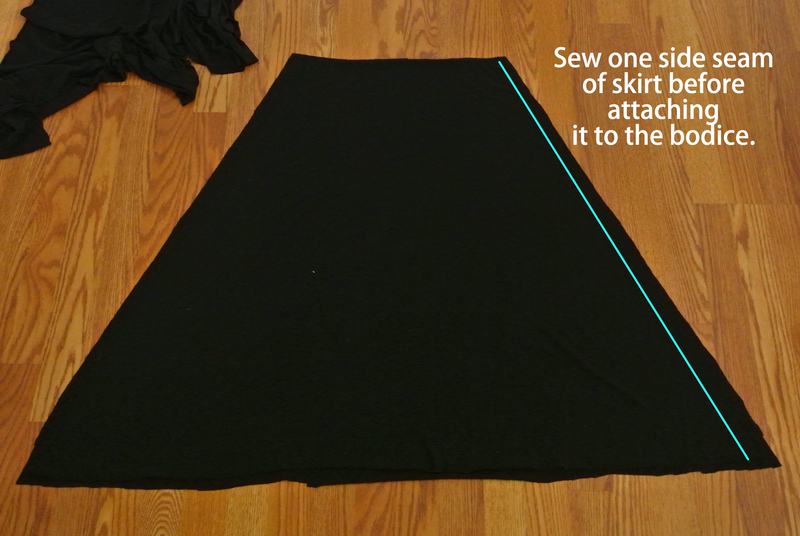 I did this so that I could create the second side seam to line up exactly with the other side seam of the bodice. Because I was working with knits, I used a ball point needle and a zig zag stitch. This will almost always guarantee success when working with knit fabric. 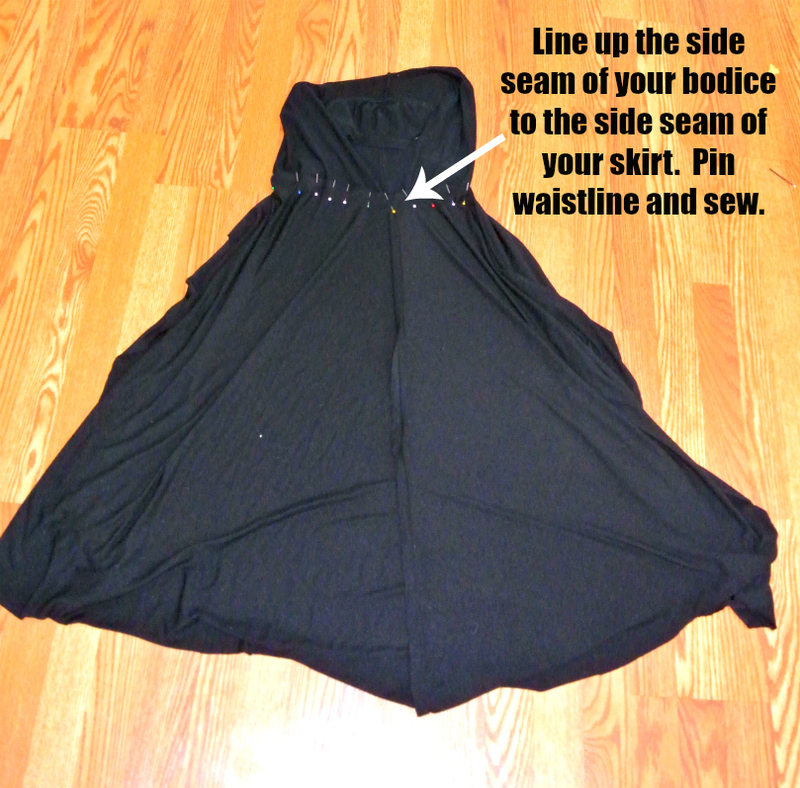 Once the skirt was attached to the waistline, and the second side seam closed, I simply hemmed the dress and was done. Don’t want to make your own dress? 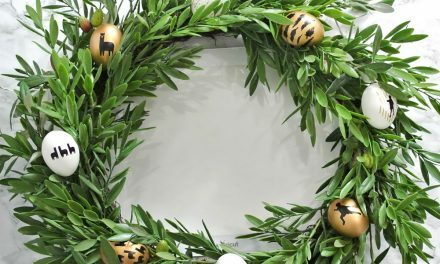 Check out these cute finds instead.